Tottenham Hotspur midfielder on verge of January exit? Tottenham Hotspur midfielder Mousa Dembele is reportedly on the cusp of leaving the north London club for a fresh challenge in the Chinese Super League. The 31-year-old has struggled with fitness concerns during the course of the current campaign and he has not featured for the club since his ankle injury in November. According to BBC Sport, the Belgian could be offered an escape route to the Far East this month with his existing deal due to expire at the end of the ongoing campaign. It is added that Beijing Guoan are leading the hunt for the former Fulham man after previously failing with an approach for his services during the summer transfer window. 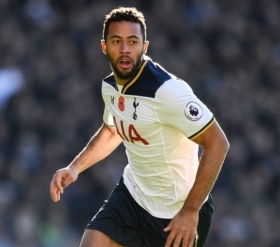 Dembele has been with Tottenham since the summer of 2012 and during this period, he has made nearly 250 appearances for the Capital outfit in all competitions. Meanwhile, Dembele may not be the sole departure this month with Netherlands international Vincent Janssen tipped to make way after failing to impress in English football.